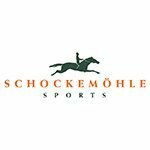 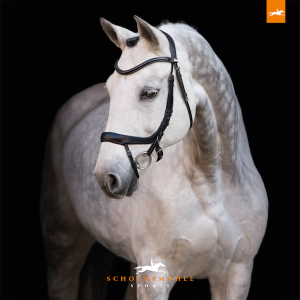 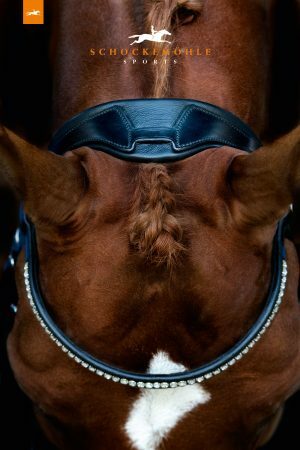 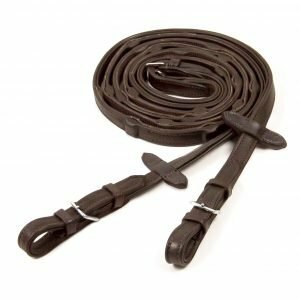 The Schockemohle Half Rubber Lined Snaffle Rein: Dark Brown/Gold are a pair of snaffle reins to be used with either a snaffle bridle or double bridle with the curb rein. 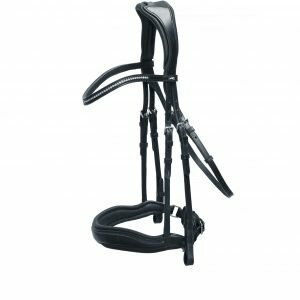 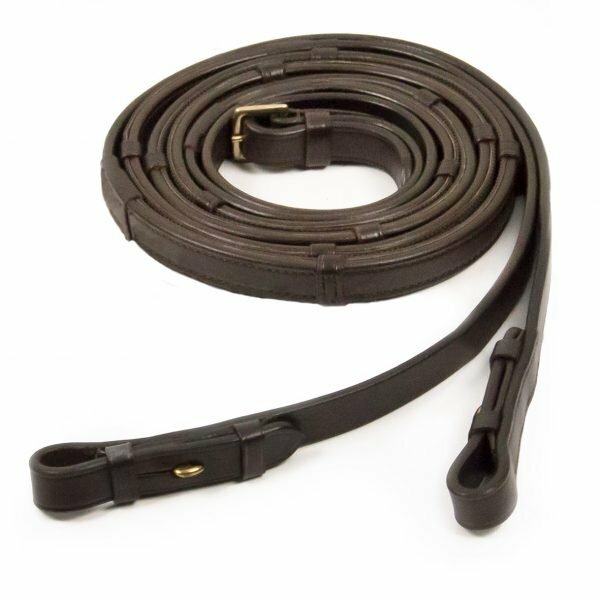 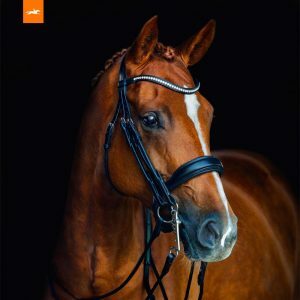 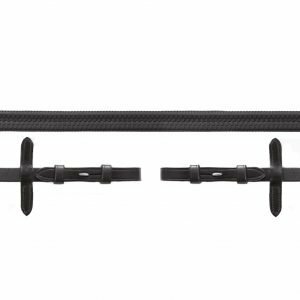 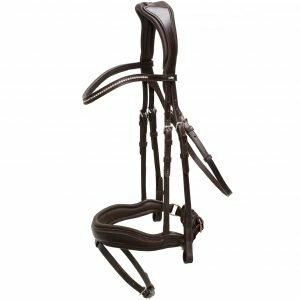 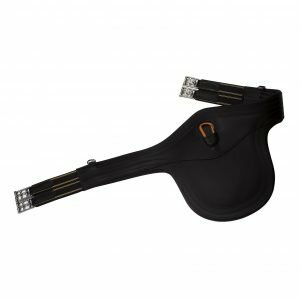 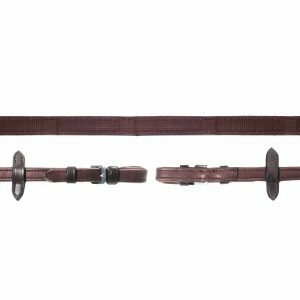 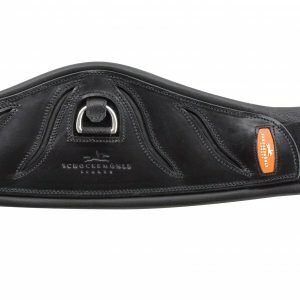 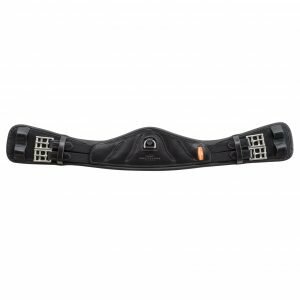 These rubber lined reins benefits from the grip of the rubber lining on the inside of the rein along with added grip from the leather stoppers every few inches down the rein. 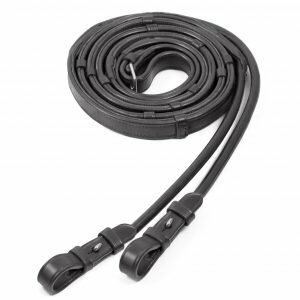 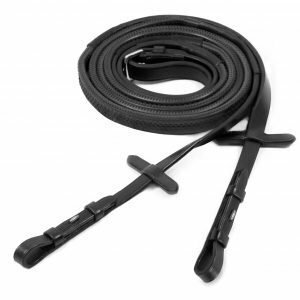 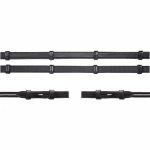 These reins come in flat leather with hook and stud fastening’s on the bit end of the rein. 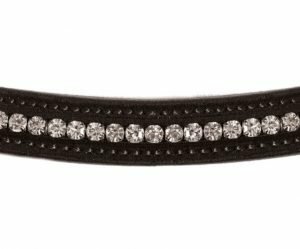 Available in Black/Silver, Dark Brown/Silver and Dark Brown/Gold. 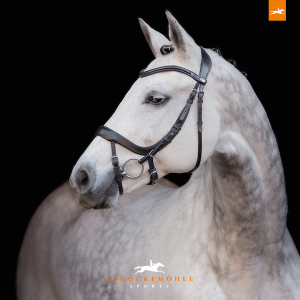 For more info email us at sales@hudsonequine.com.